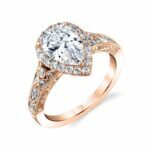 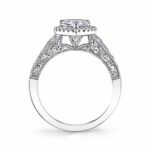 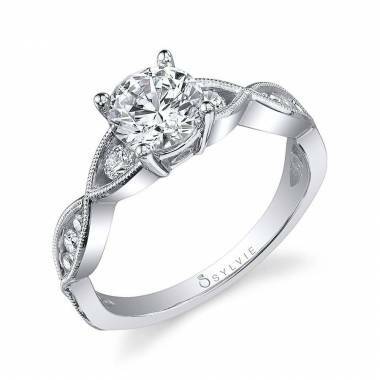 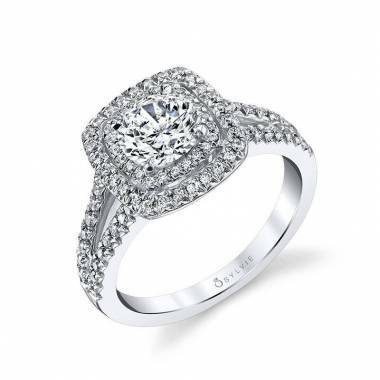 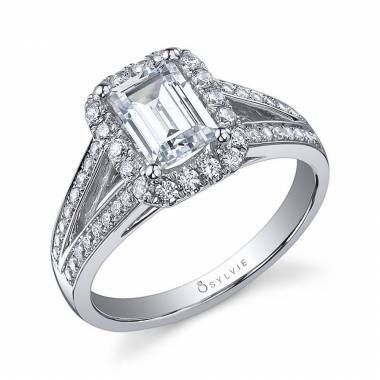 This elegant vintage engagement ring features a gorgeous pear-shaped center set in a halo of round brilliant diamonds. 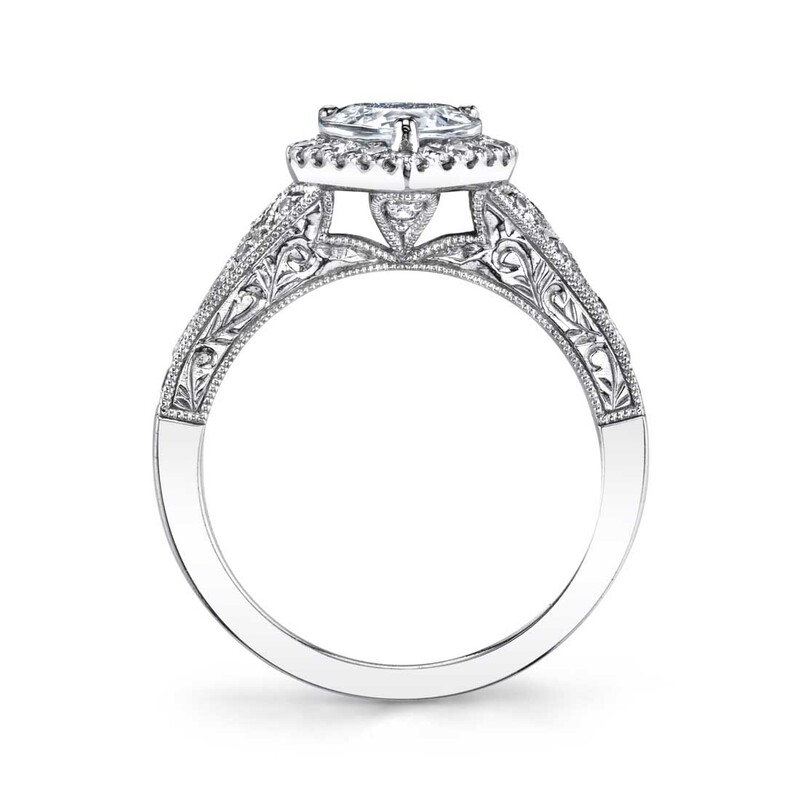 The shank is adorned with intricate milgrain designs and engravings as well as more shimmering diamonds. 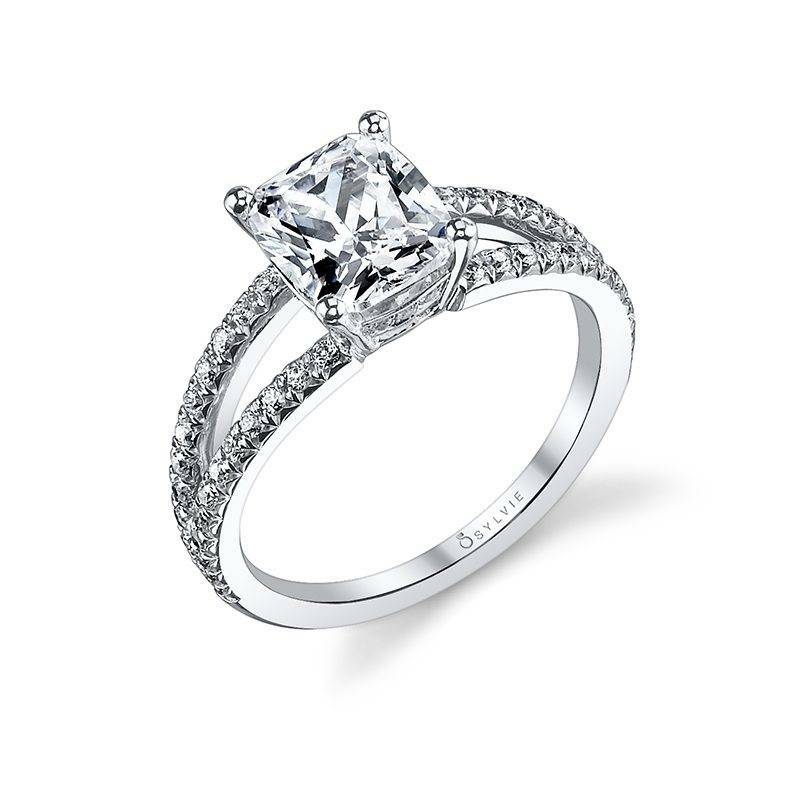 The total weight is 0.47 carats.